Yellow Springs Schools has found its new middle/high school principal in a longtime YS educator who embraces the values of the district and has provided leadership in times of transition. Mr. Jack Hatert, currently the interim principal at McKinney Middle School/Yellow Springs High School, has accepted the position of principal for the 2019-2020 school year.The Yellow Springs Board of Education will vote on a three-year contract for Mr. Hatert at a special meeting at 8 a.m. on Thursday, March 21, in the John Graham Conference Room at Mills Lawn Elementary School. 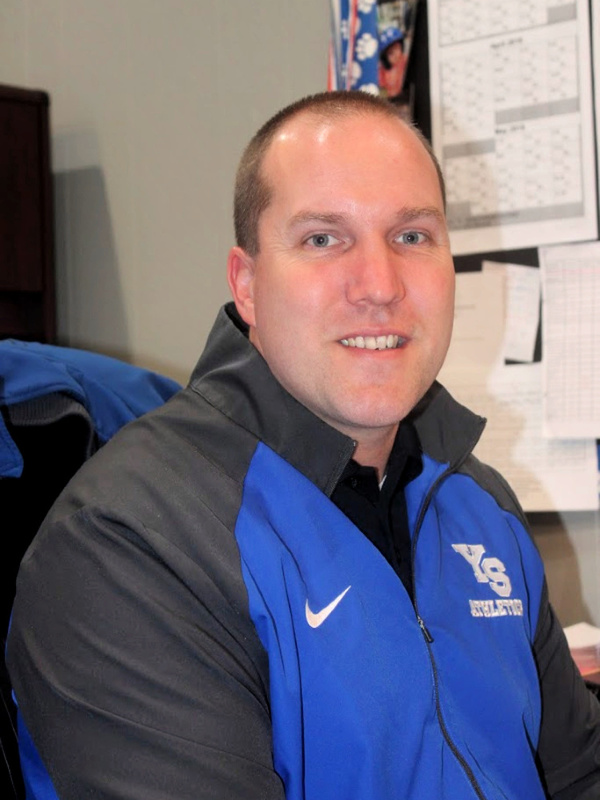 Mr. Hatert, a graduate of Wright State University, has spent his 13-year career in service to Yellow Springs Schools, starting as a 5th and 6th grade teacher at Mills Lawn Elementary in 2006. He has also taught 7th and 8th grade math, PBL foundations, and science, served as an embedded PBL coach, and acted as assistant principal for several years. His accomplishments as interim principal include creating and implementing a 1:1 technology program; creating and delivering professional development training around social-emotional learning and assessment; enhanced school-to-home communication; and implemented changes to the middle school schedule; freshman experience; and seniors seminars and senior projects. He holds a bachelor’s degree and master’s degree from Wright State University in middle childhood education, and a master’s degree in educational leadership from Wright State University, where he also completed his principal licensure. “I look forward to the opportunity to continue serving our students, the Yellow Springs community, and our staff as we redefine quality public education through progressive instruction and deeper learning,” said Mr Hatert. Mr. Hatert was selected from a field of 22 candidates following a comprehensive interview process, which included interviews with teachers and parents; a professional development presentation; teacher observation; interviews with students; and a community presentation and question and answer session. Mr. Hatert will serve the remainder of the year as the interim principal at McKinney Middle School/Yellow Springs High School and will begin his tenure as principal in August 2019. The district will begin the process to hire an assistant principal this spring.